Kiplinger rated West Chester University as one of the top 100 best values in public colleges in the nation this week. 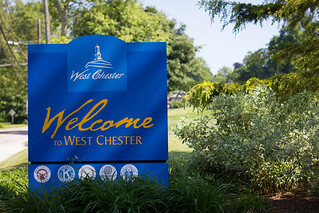 West Chester ranked 71 among public colleges for in-state students and 57 for out-of-state students. Only two other Pennsylvania colleges made the list: University of Pittsburgh and Penn State Main Campus. University of Pittsburgh ranked 38 for in-state students and 17 for out-of-stae while Penn State ranked 48 for in-state and 31 for out-of-state. This article was originally reported by West Chester Patch you can read more by clicking here. We start with data on nearly 600 public institutions and sort the schools based on quality measures — such as the admission rate, the test scores of incoming freshmen, and four- and six-year graduation rates. We then add cost data — including tuition, fees, room and board, and financial aid for in-state and out-of-state students — and re-rank the institutions. It is this combination of academic quality and affordability — not any desire on our part to exclude a particular school — that determines which schools make our list for best value.